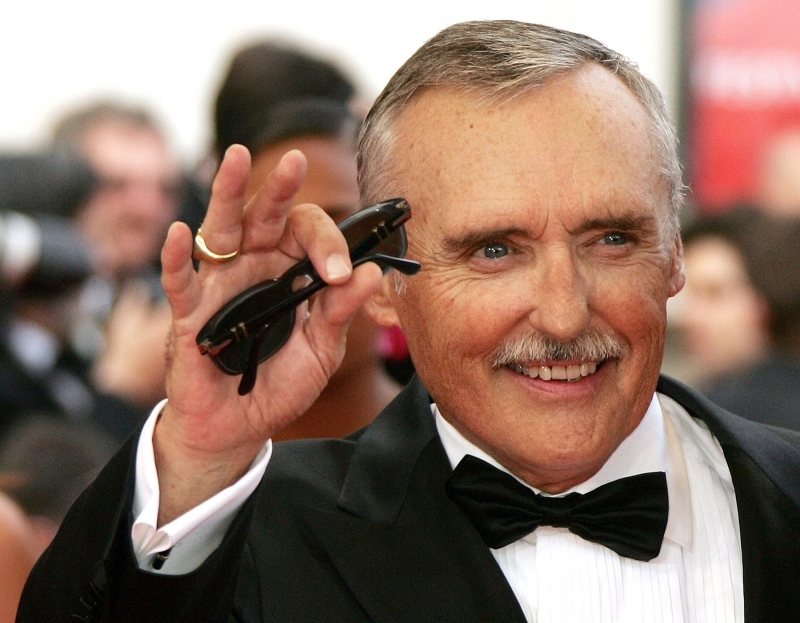 Dennis Hopper has died after losing his battle with prostate cancer. The Hollywood legend passed away aged 74 due to complications caused by the disease at his home in Venice, California, at 8.15am today (29.05.10). The actor was surrounded by family and friends for his final moments. Hopper starred in a host of classic movies including 'Easy Rider', 'Apocalypse Now', 'Rebel Without a Cause' and 'Blue Velvet' and also directed several films. He is survived by four children, adults Marin, Henry and Ruthiana and seven-year-old daughter Galen. Hopper was married five times during his lifetime, and in the final months before his death he was embroiled in a bitter divorce battle with his wife of 14 years Victoria Duffy. During the divorce Victoria alleged the actor's three children from previous marriages had turned him against her and wanted her to be cut from his will. The legal battle became so acrimonious Hopper applied for a court order to keep his 42-year-old spouse at least 10ft away from him to eliminate unnecessary stress.